What's your style? 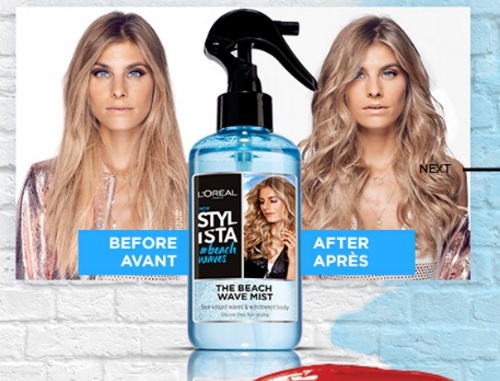 Tell L'oreal more about your hair care needs for a chance to win one of our new Stylista hair products! 100 winners will be selected to get a Loreal Stylista gift box containing styling products suited to their needs and hair type. Contest closes July 31, 2018. Click here to enter the contest. Have any questions or comments? please post them below! Subscribe to our Newsletter for Daily Updates! Looking for STORE FLYERS? Check them out here. Please note, I am not and do not represent any of the brands/companies that you see blogged about here. I do not ship out the samples/coupons or contest prizes. If you have a technical issue with any of the forms to order any of the deals found shared on this website you need to contact whichever company is responsible for it. Thanks for reading. Copyright © Canadian Daily Deals 2010-2017. Powered by Blogger.